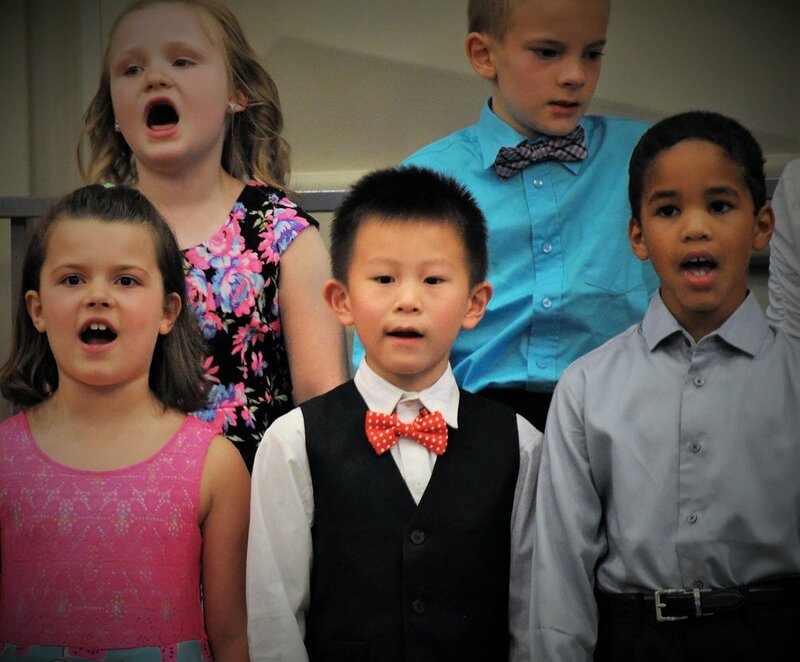 Instructed by Korrie Johnson, Half Notes is non-auditioned music learning experience for children in 1st & 2nd grade. Fundamentals of music and singing are taught in a fun and relaxed environment using movement, games and musical activities as a foundation, plus choral singing and performance. Half Notes meets on Sundays beginning in October through December, and again in February through April. The schedule varies each season. Half Notes perform at two Honors Choirs concerts each season, and are accompanied by Jon Davis. Register for Half Notes by completing the Registration Form. You will receive notice well in advance of the first class date of acceptance and given further instructions on how to finalize registration.